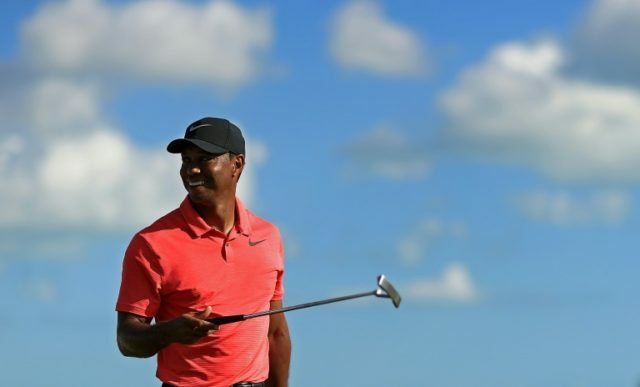 Los Angeles (AFP) – Tiger Woods will tee it up against four of the world’s top seven golfers as the 14-time major champion continues his latest injury comeback when the Farmers Insurance Open begins on Thursday. Spain’s Jon Rahm, ranked third in the world and the defending champion at Torrey Pines, and Japan’s world number five Hideki Matsuyama are the top-ranked players in a field that also includes sixth-ranked Justin Rose of England and number seven Rickie Fowler. Former world number one Jason Day of Australia and five-time major-winner Phil Mickelson are also entered in a tournament due to feature 19 of the world’s top 50. It has been a while since Woods featured that high in the rankings, but the former world number one is sure to be the focus of attention in his first official US PGA Tour event since back surgery last April that sidelined him nearly 10 months. Woods finished an encouraging ninth in an 18-man field at the unofficial Hero World Challenge in the Bahamas in December, where he said he was finally playing without pain. That was Woods’ most recent major triumph, with his pursuit of Jack Nicklaus’s record of 18 derailed since then by a succession of injuries. When he teed it up at Torrey last January, he hoped he was on the way back after missing the entire 2015-16 season with back trouble. He missed the cut, and his comeback bid ground to a halt last February. Woods reportedly warmed up for Torrey Pines by playing a round with former US President Barack Obama in Florida last week. Golf Channel reported that Woods teed it up with Obama at The Floridian in Palm City. After Torrey, Woods is slated to play the Genesis Open at Riviera Country Club in Los Angeles as he builds toward a Masters campaign in April.